Born and raised in the Appalachians, Sarah Nicole Lemon now lives and writes in her home in southern Maryland. She is also the author of Done Dirt Cheap, published in March 2017 by Amulet. 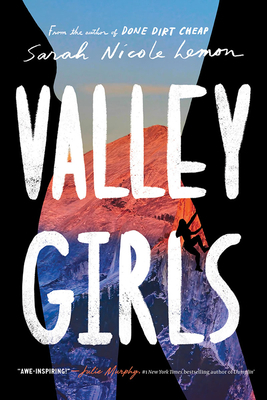 "This YA is reminiscent of Cheryl Strayed’s Wild and will resonate with fans of coming-of-age and survival stories." "There’s an equitable diversity here: Adeena, one of the climbers who mentors Rilla, is a Muslim Pakistani woman, and Gage, another climber, is Korean-American. Rilla and her half sister, Thea, were raised by polyamorous parents . . . This story may find its niche with readers who enjoy climbing." "Lemon (Done Dirt Cheap, 2017) deftly navigates one girl’s growing self-awareness, and pairs it with a frank discussion of economic diversity."